A proposed cut of 25 per cent was mooted back in 2009 for the research and development budget for this promising alternative energy source. Projections that wind energy could provide 20 per cent of electricity production in the US by 2030 would see it outstrip natural gas and nuclear generation. But with wave energy technology currently in the infant stage of growth, it will suffer a stifling setback if cuts go ahead. Jeff Anthony is Director of Business Development at the American Wind Energy Association. He will be a speaker at the marcus evans Renewable Energy Summit taking place on August 16-17 in Hollywood, Florida. According to Anthony the overall potential for renewable energy in the US is looking good with a sharper focus on accelerating growth. With an ambitious target to generate 20pc of electricity needs for 10 million American homes by 2030 from wave energy, last year that figure stood at just 2.3pc. Coal on the other hand made up 45 per cent, natural gas 20 per cent and nuclear 24 per cent of electricity generation. Despite wind energy having a long way to go Anthony is confident this objective is feasible. “Wind energy represents an inexhaustible, domestic source of electricity and in 2010 produced as much electricity as ten nuclear plants. 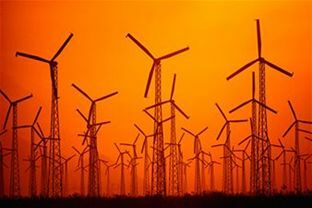 Wind energy costs continue to decline making wind energy cheaper than new nuclear or coal plants and making it competitive with natural gas,” he argues. In straitened times where the US unemployment rate has soared above nine per cent wave energy technology has provided many jobs in the main wind energy producing states namely Texas and Iowa. “Rapid market growth in US wind energy between 2005 and today triggered a surge of investment in new American manufacturing capabilities, causing a decreased need for imports and shift to domestic production. "Manufacturers have made major investments with 24 new manufacturing facilities built in the last two years alone. Overall the US wind energy industry supported 75,000 direct and indirect jobs in 2010,” he explains. Anthony adds that it is of vital importance that the current US Government along with Congress look to devising an energy policy that will support the long range, and therefore sustainable, growth of renewable energy and support wind energy growth. The marcus evans Renewable Energy Summit will take place on August 16-17 in Hollywood, Florida.